The island of Bali is a world renowned travel destination that stands out quite a bit from the rest of Indonesia. Indeed, Bali tends to be thought of as a destination on itself since there’s so much to see and do. The landscapes are dramatically different from an area to another on the island and the culture is very well alive despite Bali being quite touristy. This post is mostly for adventurous travelers that are heading to Bali and want to know what to do, and where to go. What’s behind the touristy centers and attractions such as Kuta and the Monkey Forest? 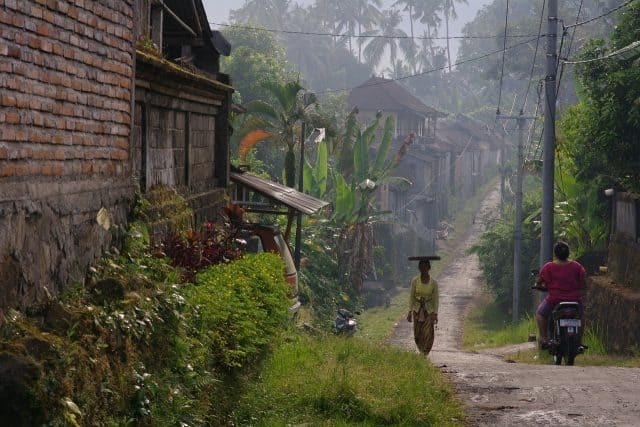 Bali has plenty to offer and experience if you’re willing to go a little off the beaten path. The best way to experience Bali is probably to mix a bunch of activities together so you can get a real feel of the many dimensions of the island. In fact, there are a few activities that you simply cannot miss when traveling to Bali; cultural stuff, snorkeling/diving and surfing. Experiencing the Balinese culture can be done in many ways but it sure implies to get off the touristy path. It can be very simple things such as driving a scooter yourself through the crazy alleys and boulevards of Kuta, and all the way up to Ubud. Indeed, it’s an experience in itself to be driving aside a local mom with a newborn in a sling, a 2 years old boy in front of her and her young teenager on the back along with a cage full of livestock! 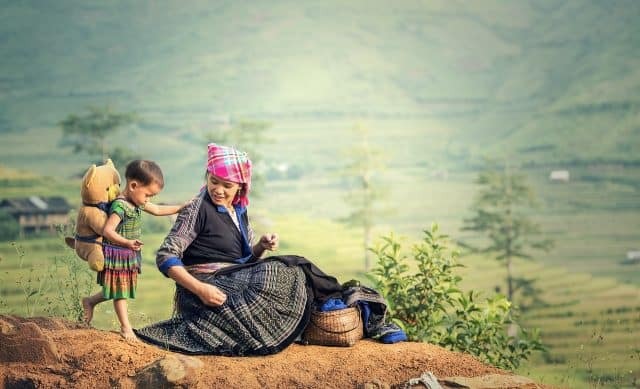 You can also learn a few words of Bahasa Indonesia (Indonesian language) and stop in rural areas to communicate with locals. Of course, you’ll have to master sign language and have a good sense of self-mockery! If you do, go ahead and venture into the country side to communicate with complete strangers in a language that you don’t know! Balinese are genuinely nice and welcoming people. Thus, it’s actually a great way to truly interact with locals to just go chat with them outside of touristy zones. I’ve spent 2 hours “discussing” with Balinese women through signs and pictures. Plus, they’ve taught me how to weave coconut leaves and gave us directions to a nice, secret beach! We already offer you plenty of information on just about every diving destinations in Indonesia on Divezone, including Bali! 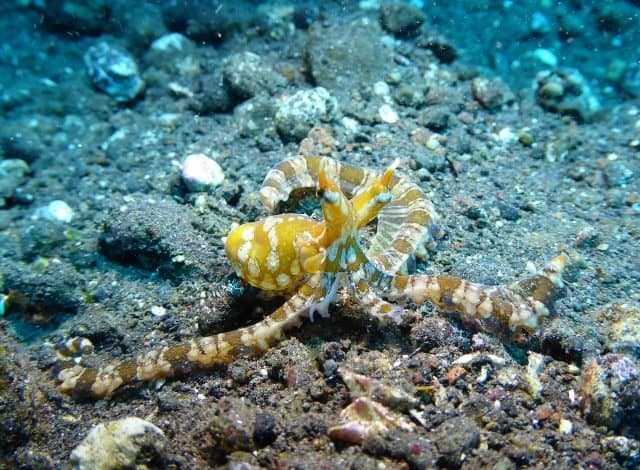 Thus, we won’t repeat ourselves here but let’s go through a quick overview of the best diving destination for beginners and then for advanced divers in Bali. Beginner divers in Bali will love Tulamben and Amed as the dive sites are great and the towns away from the big crowds of the south. If you have more time, you can also experience Padang Bai, and maybe catch a boat from there to experience the Gili Islands for a few days. The Gili Islands are great for beginner divers’, but also for the travelers that simply want to snorkel. Moreover, the Nusa Islands are just off the coast of Bali and represent a great opportunity for advanced scuba divers. Indeed, some of the best scuba diving in Indonesia, or at least near Bali, is said to be around Nusa Lembongan and Nusa Penida. Otherwise, around Bali you can head to the Candi Dasa area for some great diving around the small offshore islands. It’s a great spot for shark encounters and you could run into an oceanic sunfish, also called Mola Mola. Have you been to beautiful Bali? What was you favorite thing to do? What’s the best dive site? ← Previous Post: Quitting the 9 to 5 job to become a dive instructor – True Story!